Titanfall without the Titans? New Game Mode Announced! Hey guys! Remember Titanfall? I know Destiny is on everyone's mind and that five months is a long time in this modern video game world, but earlier this year, EA and Respawn Entertainment launched a game called Titanfall which pits humans against giant robots in a deathmatch to the bitter end… among other gameplay modes. Respawn Entertainment has announced a new game play mode which drops the titular Titan robots from the equation, leaving us with just the pilots to shoot pea shooters at each other. Ice cubes without the ice. Peanut butter without the peanuts. Titanfall without the Titans? How does this work? Well, the new mode is just a straight up 8 on 8 death match which not only gets rid of the robots but AI controlled drones as well. It sounds like the most basic FPS on the face of the Earth when explained like this, so Respawn Entertainment has more. Check out the developer blog for more details. Pilot Skirmish is an 8v8 mode with no AI and no Titans. Due to the difference in player sizes with the rest of the game modes, Pilot Skirmish will not be among the game modes played when choosing Variety Pack playlist. In other news, that "Marked for Death" mode will be getting a permanent playlist slot. Respawn had planned to scrap it after a few weeks, but it has proven popular enough to keep around. When we first introduced Marked For Death, we were planning to rotate it out for another mode after a couple of weeks, but the enduring popularity of the mode convinced us to bring it on full-time. There will now be a Marked For Death playlist to choose from, along with custom Marked For Death loadouts to unlock. Further updates include options for colorblind players. How about it? 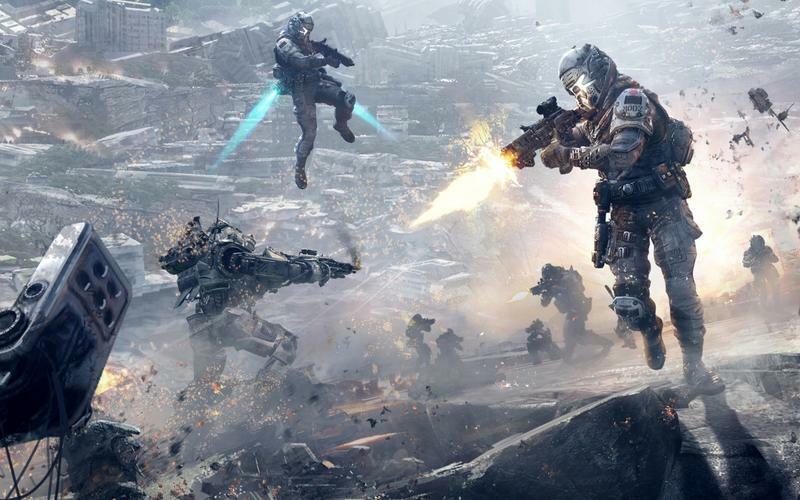 Want to play Titanfall without the Titans? That's like playing an Electronic Arts game without the Arts….. Hey yo!